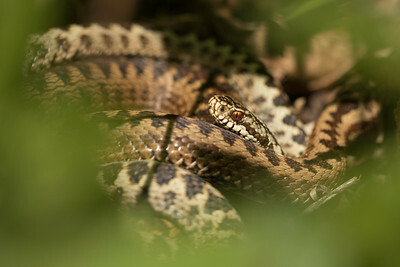 Macro photography of wild adders in kent. 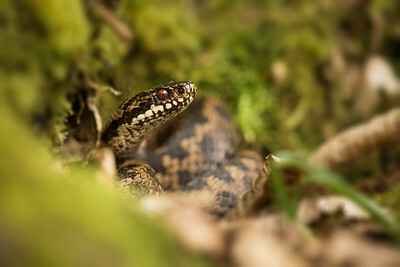 Male adder basking in the sun. 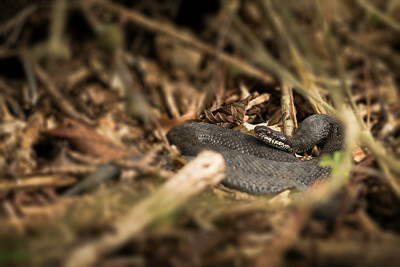 Melanistic (black) adders are not uncommon in the wild and they may even be more successful than the normal colour form as their darkened skin cells means that they can have a thermoregulatory advantage, and can warm up quicker. Black individuals can therefore feed on days which would be too cold for other individuals. 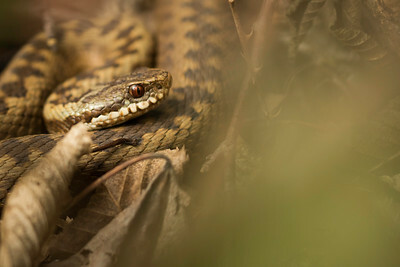 These advantages can be offset by an increased risk of being discovered and eaten by predators compared to the normal-coloured specimens which are better camouflaged. 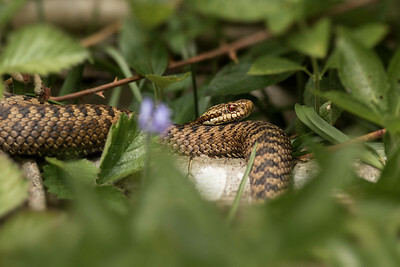 Female adder basking in the sun. 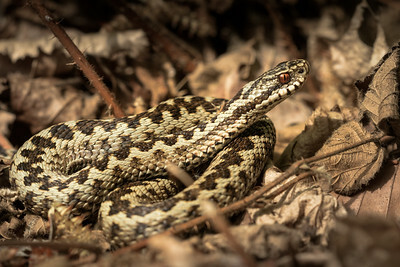 The Adder is a relatively small, stocky snake which here in Kent has a preferred habitat of woodland. 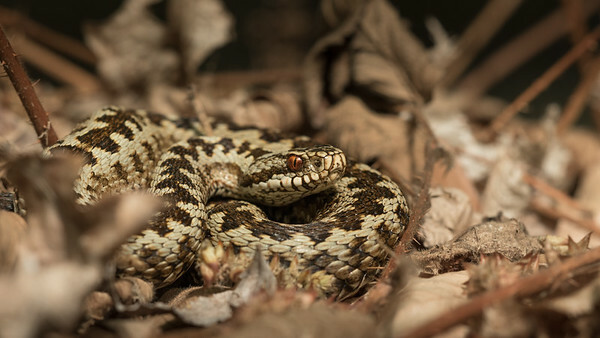 It is Britain's only venomous snake. 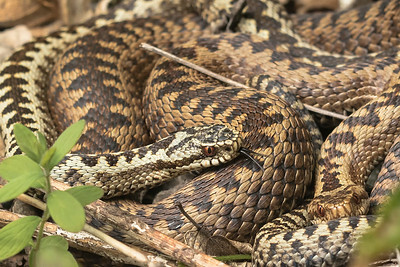 The main part of its diet is small mammals. 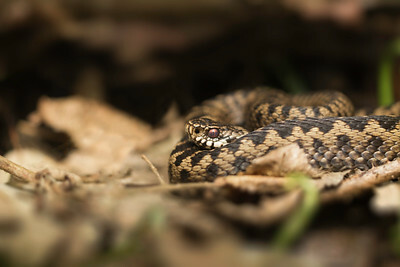 Adders hibernate from October, emerging in the first warm days of March, which is the easiest time of year to find them basking on a log or even out on flattened grass or a pathway. 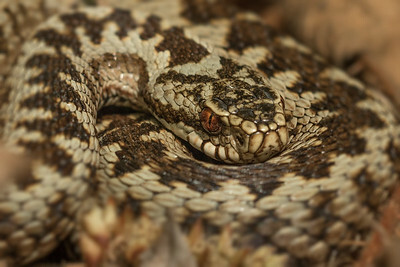 Adders are protected in the UK under the Wildlife and Countryside Act 1981 and classified as a Priority Species in the UK Biodiversity Action Plan.